Song of Summer–Hugos–Where did the Hu–go? I’ve started a publishing house (it’s more like a publishing keyhole and not a whole house). I intend to publish novels under the name of RainWood Press, along with larger collections of short stories. Single short stories and works for children will be published under (Keyhole Stories) and smaller collections are published under the name of Keyboard Books. At the moment I’m only publishing works by Rhea Rose, or R.E.Rose, or Rhea E. Rose. My first three novels are now all out and available at Amazon. These first 3 books will be joined by 3 more.. I’m running those manuscripts through a writers’ workshop as I blog. As a creative, I’ve decided to see how far I can go working up a series and doing most of it myself. View them and buy them here, in all of their glory. If any of you glance at my website on Weebly–rheaerose.weebly.com (great place to create a website, you new writers), you’ll find some discussion on getting into indie publishing, which I’ve been working on for most of 2015. You’ll also find “other stuff” I’m attempting to “create”. Clockwork Canada edited by Dominik Parisien will publish a new short story by me in his steampunk themed anthology put out by Exile Editions available April 2016. Find the Toc here at Black Gate. Second Contacts edited by Michael Rimar and Hayden Trenholm will feature a short story collaboration by Rhea Rose and Colleen Anderson. Published by Bundoran Press and available in the fall of 2015. 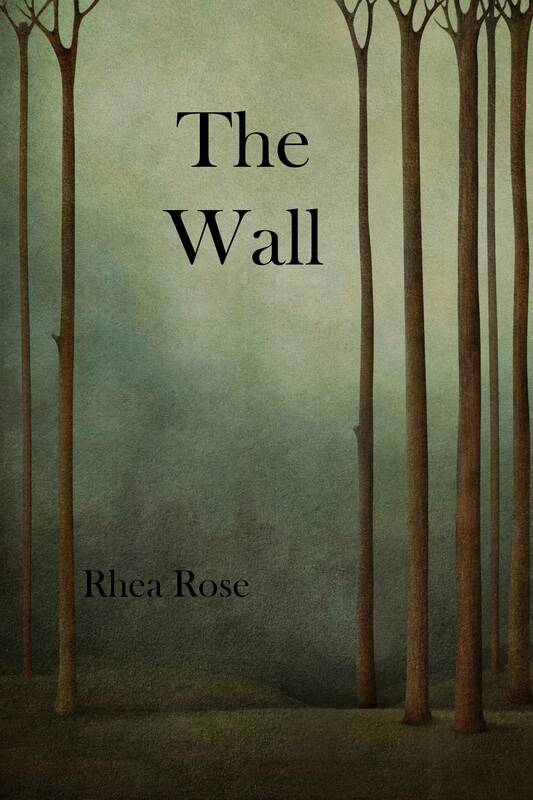 Joining my other stories at Smashwords: The Adventures of Dorea Tress originally published in Dead North and my short story The Wall originally published Tesseracts 17 can now be found at Smashwords available as singles. This year I had the mind expanding opportunity to participate in Art Song Lab, where poets, Composers, and performers engage. Many of you will not have heard of this, but it is a time honoured tradition of launching songs, hence, this years collaboration was called SongLaunch. The writers, composers and singers come from around the globe. I’ve never done anything like this before and found the experience incredibly satisfying and beautiful. It was such an honour to work with all of these artists. They were all amazing creatives and I hope to continue my experience into the future. Nick Kelly and I are collaborating on more poetry/songs. My composer,Nicholas Kelly is from Saskatchewan and my Tenor singer was William George from Vancouver, accompanied by Vancouver’s Corey Hamm on piano. The venue– VSO, The Pyatt Hall–gorgeous. I wanted to mention my participation in the ArtSongLab event because my poem is eligible for an Aurora Award 2016 in the category of Best Poem/Song English. I was, of course, a writer/poet and wrote: From Alpha Centauri the Earth is a Blue Bowl of Fish Soup. Listen to it here. The short story, Scar Tissue will also be eligible for an Aurora Award 2016 in the category of Best Short Fiction English. 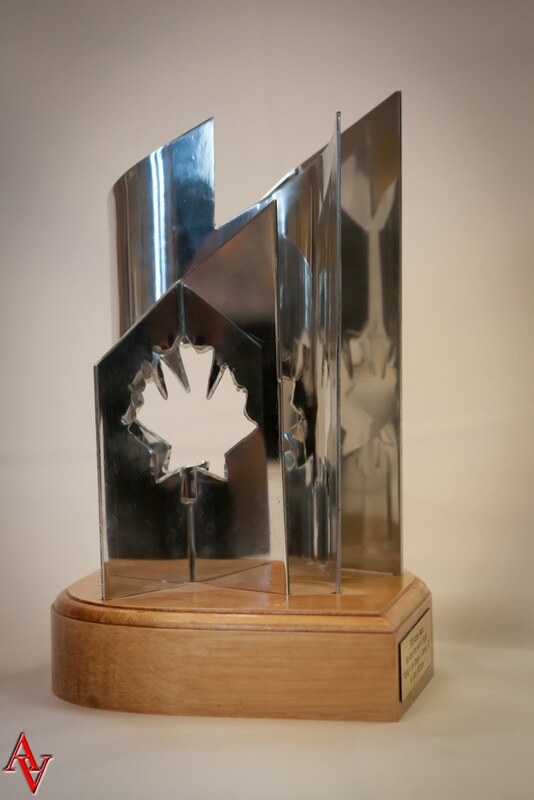 If you vote for it you will be granting two Canadian SF writers with an award: Rhea Rose and Colleen Anderson. I also have short stories and short story collections at Smashwords where I like to up-cycle my short stories. Here I sell stories as singles or as a collection of 4 in a themed eBook. It is less money to buy 4 at a time than it is to buy one, but we’re talking .99 cents here, so let’s not get into any financial snits. Nearly all my short stories are traditionally published. When rights revert back to me, I give them a cover and post them at Smashwords as singles or as the themed collection of 4 stories. Many are free. I hope to run a panel at VCon 2015 on how to create book covers for your eBooks. I create covers for low cost in PowerPoint. You don’t really need Photoshop and I can’t afford to buy Photoshop, nor can I spend the time required to learn how to use it. But we all grew up with PowerPoint! So, look for that panel at VCon. At this time I’m working out a future project with a publisher. More news on that later as things firm up. This Summer I read: Blood Rites by Jim Butcher. It’s the 6th book in his Dresden Files series about a wizard detective. It was recommended that I read it because it has some similarities to my Tarot Sorceress series about a beautiful sorceress discovering her powers as she is forced to become a detective who looks for her missing Cheshire cat and seeks a way out of a tarot curse that befalls her. Why did I read the 6th book in Butcher’s series? It was the only one in my library( Oh, well, read it and got a good sense of it.) One of the differences between the two series is vampires. My series has none of those pointy toothed antagonists. And my hero is a heroine. I also read Owl and the Japanese Circus (I love that title)by Kristi Charish whose career has rocketed! (I had the opportunity to read a Kristi Charish short story when she attended VCon’s writers’ workshop a few years back). Since then she’s published shorts and now two novel series. I didn’t know what to expect in this tale and was surprised when the action packed plot and fast paced style reminded me of Jim Butcher’s novel (only with a female protagonist, hurray). It’s another series with vampires, a cat sidekick (Butcher’s novel had a puppy sidekick) and an interesting dragon. Everything we urban fantasy lovers Charish! Pun intended. The third book in my summer lineup of reading is The Girl with all the Gifts by M.R. Carey. *Spoiler alert* (but not really because I’m coming late to this zombie party) A science fiction zombie novel for teachers. I say that because I am one. No, not a zombie, although that’s arguable, I’m a teacher, and a non-genre reading teacher friend recommended the book to me. I really liked the idea of having to kill off humanity in order for the hungries to reach their true potential. The next book in my lineup (still reading) is the Ultra Thin Man by Patrick Swenson. So far am quite liking it. It’s very original and creative, if a little cryptic (I don’t tend to be crime reader), but I may become more of one due to this novel. During my down times at the Hugos (mostly waiting for planes to land and take off) I read Douglas Smith’s Playing the Short Game. I’d intended to read it long ago, but a few screw ups with Kobo prevented that from happening. Great book for the short story writer! Every new writer should own it and read it and there are some nice tips and reminders for those of us that have played the short game for a long time. Don’t write your notes on a non- sticky sticky note– just a word to the wise. Had lots more to say but lost the sticky notes. 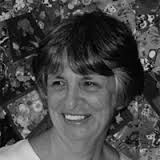 An old science fiction and fantasy friend, Carol Severance, passed this year. We both attended Clarion ’84 and had some great times together after that. We lost touch over the years but Carol was remembered at Sasquan. I lost my beautiful ragdoll cat-Kiki– (name for the girl in Kiki’s Delivery Service) this summer. I think a coyote got her but can’t be sure. But a friend found a new kitten (Himalayan) Tiki- she’s gorgeous. I would love to have the two of them together and haven’t yet completely given up on Kiki’s return. I did design the Cheshire cat in my novel series around Kiki. Finally, here we are, the Rhea Rose run down on Sasquan, The World Science Fiction Convention–host to the Hugos–only 3 days late. They happened last Saturday night (I blame long waits for short flights). I must say the crowd in the theatre was stunning, dressed sparkly or in costume and in steampunk formal,. I could hardly make myself look at the stage. But the lights went out and I did watch as David Gerrold won the evening with his MCing. Hard to believe he’s in his 70’s. There’s magic in being a long time science fiction writer–they seem to keep that boyish animation to the very end. I flew there. And flew back. A long flight for a short trip. Vancouver to Portland, Portland to Spokane. Then, Spokane to Seattle, Seattle to Vancouver. On the way back the 31 minute flight from Seattle to Vancouver took a couple of hours. A case of time travel. Sitting in airports and on runways. Yes, we could have driven home in that time. And, little did we know that coming from burning BC to Washington, we were jumping from the frying pan into the fire. The Spokane area was lit up like a roman candle gone wild. Sad to say that 3 firefighters died while we were there enjoying the con. There was much controversy surrounding the no-go Hugos( 5 categories with no award). Personally, I don’t like to get involved in the politics of anything, but more and more that’s proving to be an impossible position. Everything, it seems, is becoming political. Many things have lost or are losing the spirit in which they were created. Me trying to tell people what I did there: I Went smoooshing which is a softer version of “smooze” less aggressive. Some folks came up to me and said, “Hello” took one look at my badge, decided I was “nobody” and walked away. Jeeze. Silverberg/Martin discussion- A wonderful timeline of science fiction by Robert Silverberg and some great kidding with the “kid” George R.R. Martin. Priceless— Robert Silverberg had the audience chanting hare hare Krishna Krishna while he shook the tambourine. It worked! While hysterically funny, it brought much of the audience to a place of quiet respect. And anyone there who’d been alive and over 12 years old in the 70’s knew all the words to the chant. I’m sure there were many more levels to the event, but I’m too tired to dive for them. But it was great. Costumes–stunning; my fave was Groot. Fires– I mentioned to a friend that it felt a little like being in Rome and fiddling while everything burned down around us. Notes on hotel doors–Dangerous Smoke-Do not go outside without a mask. Venue – Wow to the Historical Davenport (warm with lots of character) vs The Grand Davenport, newer but cold. Best Party– Baen Books, at the Historical Davenport — I didn’t want to leave–first class. Panels- Plenty, I generally go for the writers panels and the updates on what’s happening in the publishing world. The panels I found most interesting happened to be the ones that featured semi-pro editors. It was great to put faces to the places I send stories. That’s all for now. I think I will have more news come Christmas time/Saturnalia time. Author adminPosted on August 25, 2015 Categories WritingsTags Jim Butcher, Keyboard Books, RainWood Press, Rhea E. Rose., Rhea Rose, VancouverLeave a comment on Song of Summer–Hugos–Where did the Hu–go?